When I got up I knew I wouldn't be riding on with Jelle. 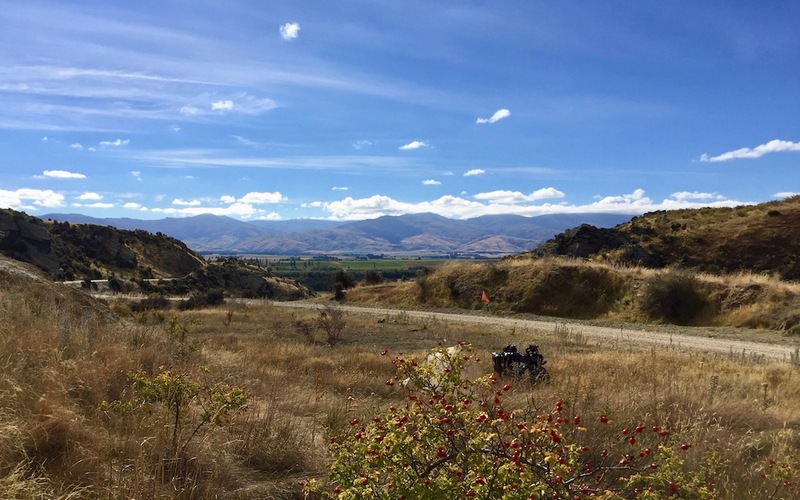 The tentative plan was to ride the first part of the Roxburgh trail with him, and then double back to the Otago trail. I woke up tired and way behind Jelle who was soon ready to go. So we said our goodbyes and he was off. So now I was on my own. It had been great having someone to ride with, and Jelle and I were pretty well matched and got on well. So I was sorry to part but looking forward to some time alone. I figured I would slow down and stop more often. 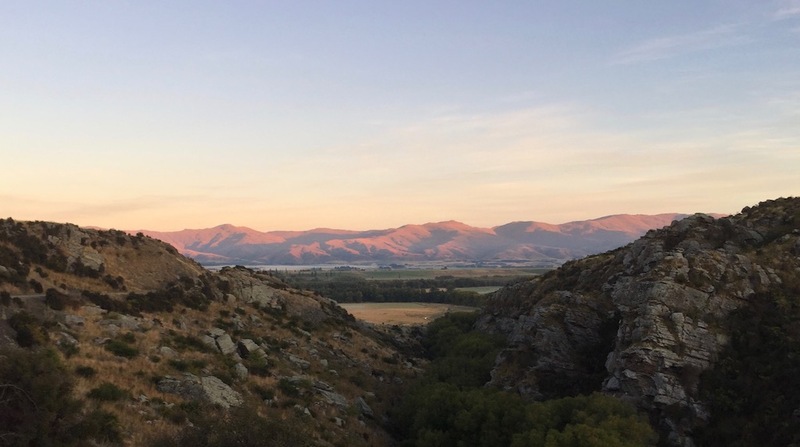 Of course I also wanted to put in some longer days as we had done very short rides each day on the Otago trail. 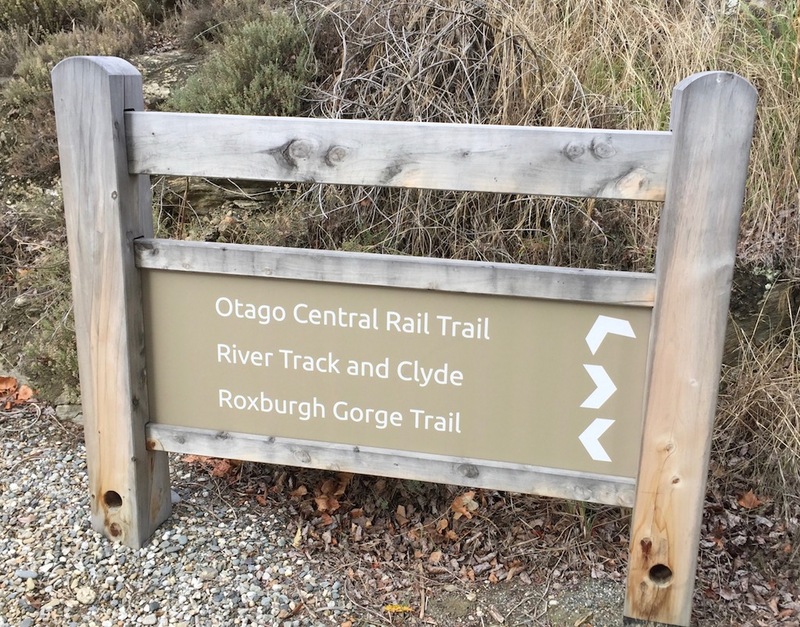 The River Track from Clyde to Alexandra is a much more attractive alternative to the Otago Trail. It's a pretty easy 10k trail, but not flat like a rail trail. Like any good river trail it rises and falls and swoops and curves. A nice way to start the day. 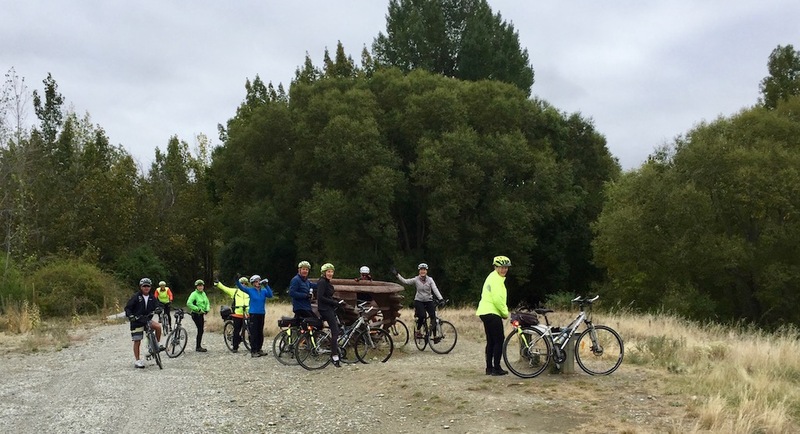 Right away on the river trail I ran into a large group of riders. I didn't know it at the time but I'd be seeing a lot of them over the next three days. They were on a tour with the Adventure South company. They were all riding rental bikes and the whole thing was planned for them. As the day wore on the sun came out and it was lovely. I had lunch at the Muddy Creek Cafe in Omakau. This was on the opposite side of the street from the Commercial Hotel where we stayed just two nights ago. It all looked different now that the rain had stopped. I also made a quick stop at the Lauder cafe and the lady there remembered me from the other day. She thought I looked just like someone they had on TV doing a commercial at Christmas time. I rode on and made camp just before the tunnels. I found an open spot just around the bend from the outhouse I would need in the morning. I was very exposed by I had a great view of the valley below the gorge. At dusk I took a walk with my shakuhachi and played it in the first tunnel. Wonderful echo. Sounded great. My first encounter with the Adventure South touring group. On into the open country. My "stealth" campsite on the trail. My tent is hiding behind the rose hips.